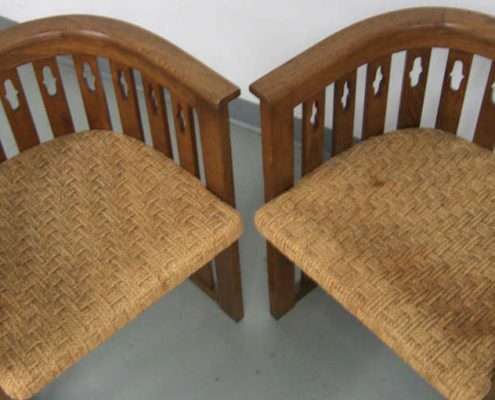 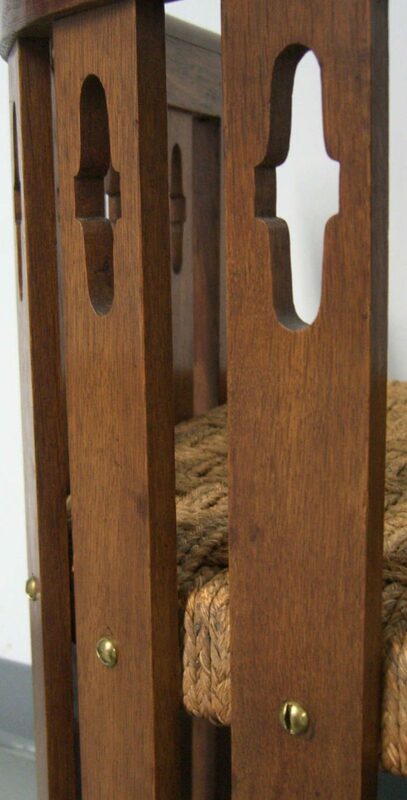 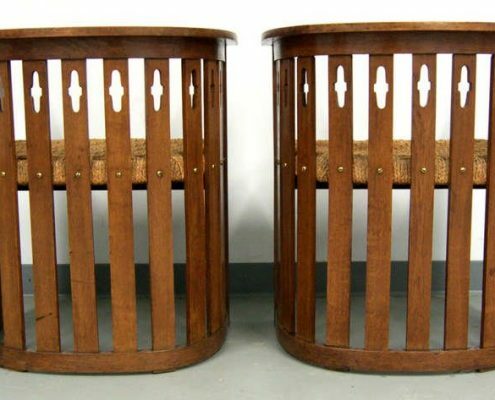 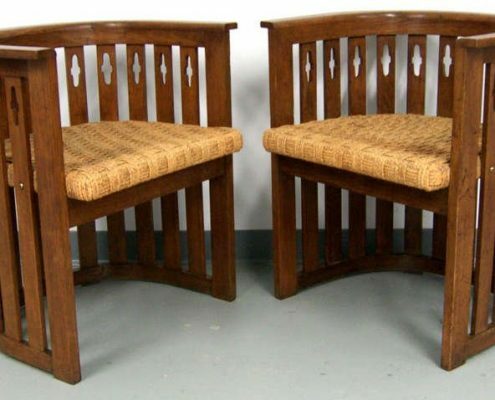 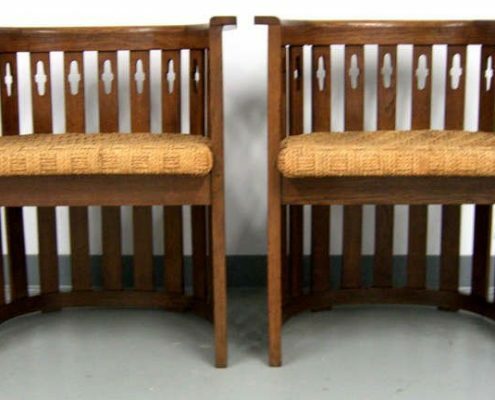 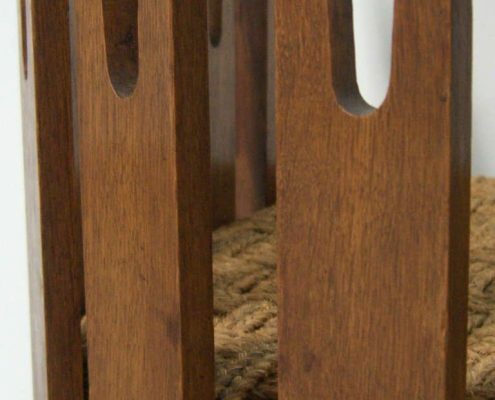 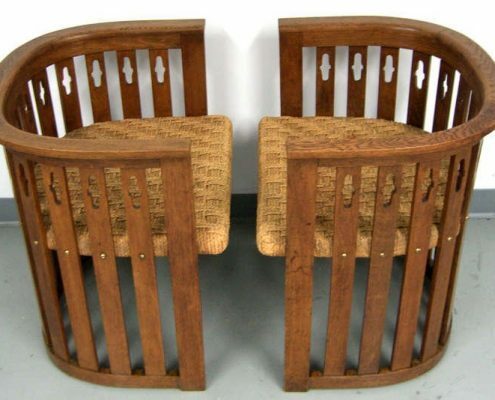 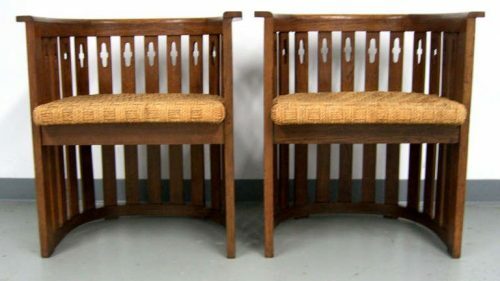 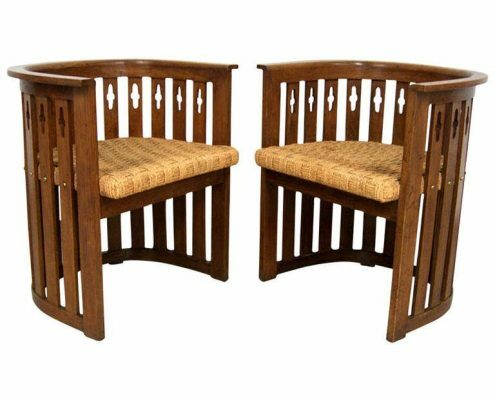 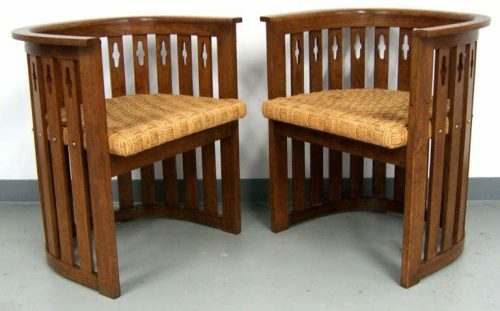 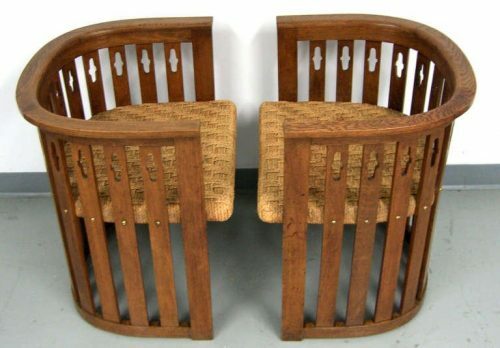 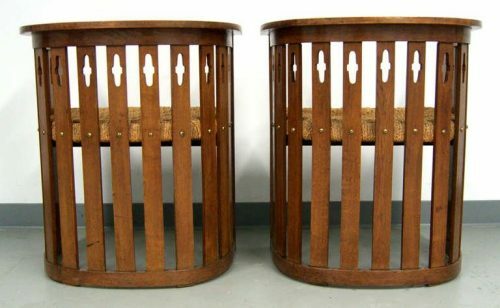 This is a very special pair of barrel shape slat chairs of solid oakwood. 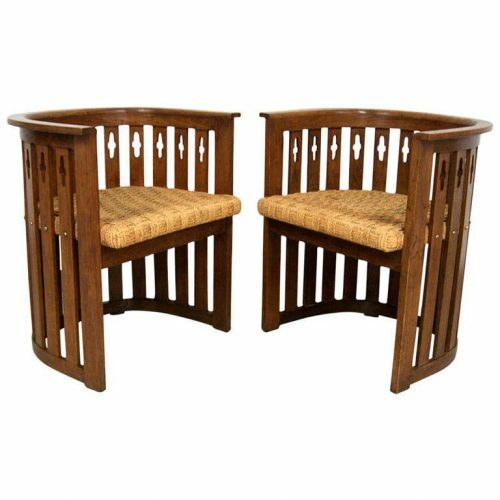 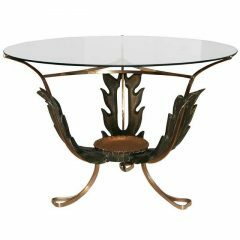 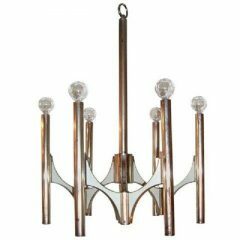 Carved designs adorn the back and solid brass screw heads embellish each slat. 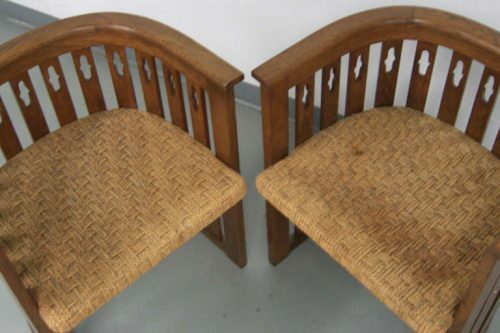 The seats are the original woven jute, in very solid condition.